Opening today at New York City’s Metrograph is a weeklong run of “Los Sures,” a 1984 documentary about the challenges of residents living in the Southside of Williamsburg. The film itself would likely have remained in obscurity if it hadn’t been for UnionDocs (UnDo), a Center for Documentary Arts, discovering a VHS tape of Diego Echeverria’s film of the neighborhood the documentarians had called home for a decade. Seeing Echevarria’s portrayal of a vibrant community struggling with drugs, abandoned buildings and inadequate local resources was revelatory for the collective and resulted in them doing a five year exploration – through a series of short films called the “Living Los Sures” project – of the neighborhood which is in the midst of rapid change. The Southside, or Los Sures, today is still 45% Latino and the median income is under $32,000, yet it is also rapidly gentrifying as the popularity and booming real estate of Williamsburg slides further south. In addition to capturing the dramatic effects of gentrification, the shorts are an exploration of both the neighborhood’s past and present. 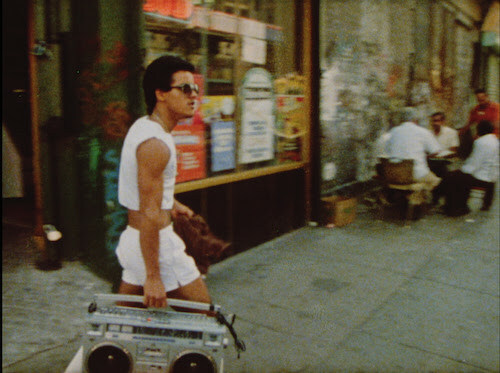 As part of the “Living Los Sures” project, which was featured at the New York Film Festival, UnionDocs had Echeverria’s 16mm doc fully restored and is distributing the film, beginning with this week’s engagement at the Metrograph. In celebration of the start of “Los Sures” theatrical run, UnionDocs shared with Indiewire one of their award winning shorts from the “Living Los Sures” collection. “Third Shift” is about the Domino Sugar Refinery, the soon to be demolished factory on the Williamsburg waterfront that once produced half the country’s sugar and employed a large percentage of the neighborhood. “Diego Echevierra’s 1984 documentary ‘Los Sures’ was a springboard for our exploration of the rich history of South Williamsburg. We knew the derelict Domino Sugar Refinery as a familiar landmark on the Brooklyn waterfront, but it was hard to imagine that it once employed thousands of people and produced half of the nation’s sugar. Inspired by Diego’s intimate portraits, we set out to find Los Sures residents with a connection to Domino Sugar. We met Frank and Johnny, who had both worked at the refinery for over 30 years and still live only blocks away from it. They recalled a time when the waterfront was busy with industrial work that ran in three shifts, 24 hours a day. We even returned to the refinery with them to explore the vacant space, which they hadn’t seen in over a decade.